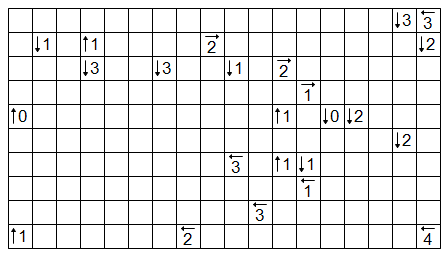 This is a Yajilin puzzle. I feel obliged to point out something I found in my referral list recently: http://pronter.tumblr.com/. 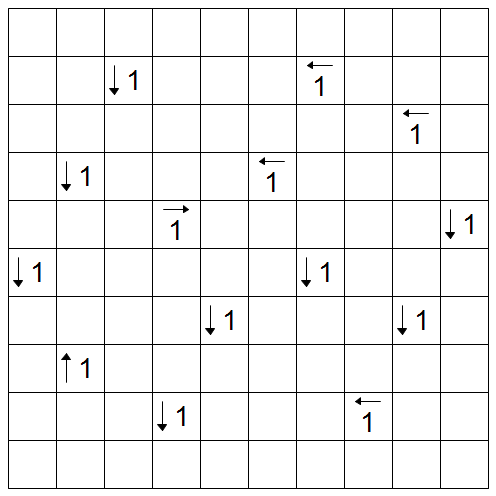 It looks to be a digest of posts from several puzzle sites, a lot of which I (and probably many of you) already knew about. 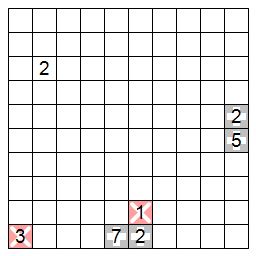 But new to me were some posts from Japanese puzzle blogs which seem to mostly post Heyawake puzzles, and they are both quite hard and extremely nice. Worth a look if that piques your interest. 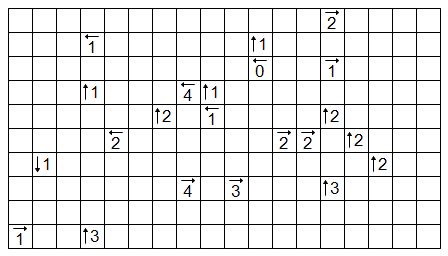 This is a Yajilin / Akari hybrid puzzle. 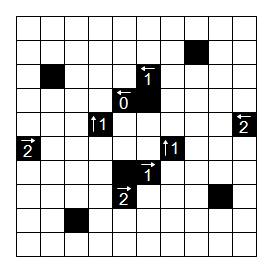 Part 10 of 12 in the Melon’s Puzzle Zoo preview series. 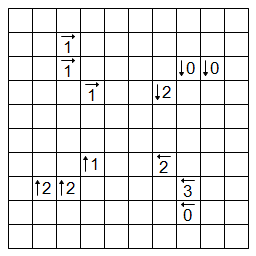 This is a Yajilin puzzle, with a twist. Black squares are no longer confined to a single cell, but may span any square area of cells. 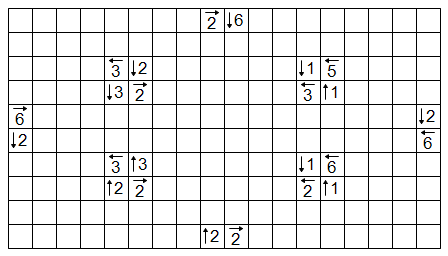 There may be no black rectangles of different side lengths, and no two separate squares may be adjacent. 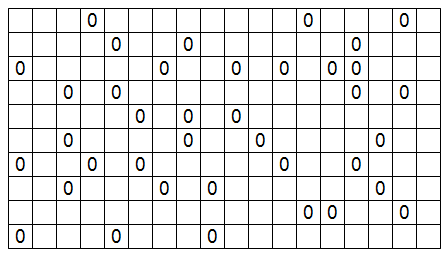 The numbers indicate the total number of black spaces pointed to (not the total amount of distinct black squares). The closed loop behaves as it did in Yajilin. 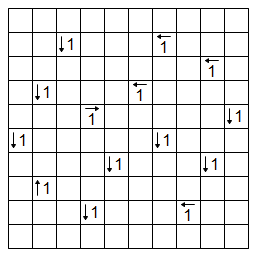 This is a Thursday Yajilin puzzle. 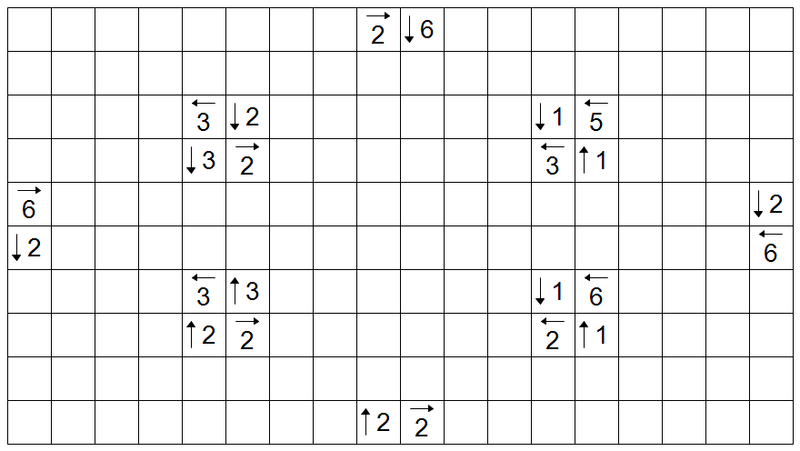 This is a Monday Indirect Yajilin puzzle. 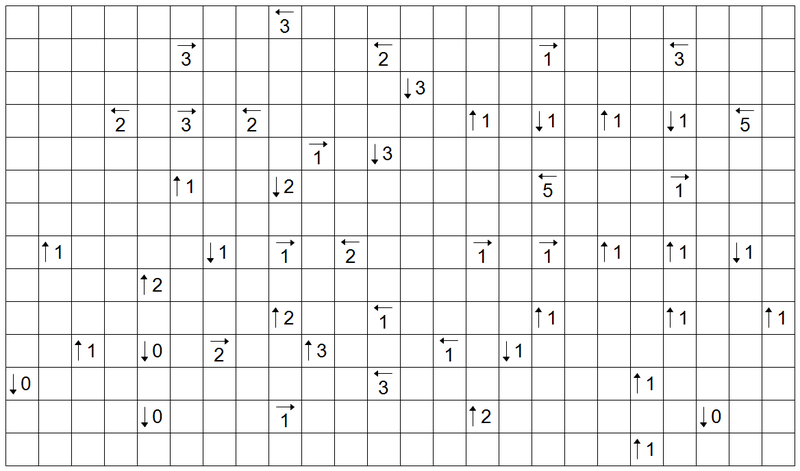 This is a Monday Yajilin puzzle. 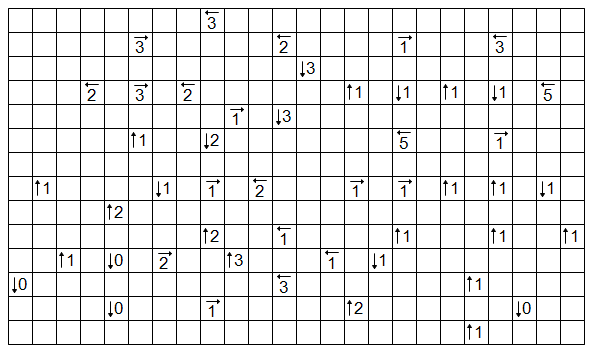 This is a Thursday Indirect Yajilin puzzle. There is an important rule about 0s on the edge that I recently clarified on the description page. Basically, the “invisible arrow” on a vanilla clue (as all of the 0s here are) can’t point to an adjacent edge.